Royalty-free stock illustration of a grinning businesswoman hugging a giant yellow light bulb while closing her eyes and smiling. Is there a big idea running through her mind? 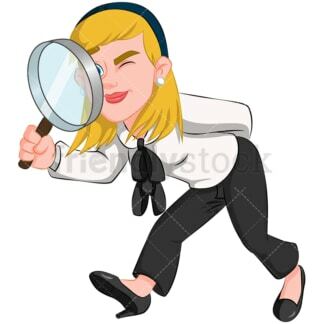 Royalty-free stock illustration of a businesswoman holding a gigantic magnifying lens. She’s got a grin that makes you wonder what she’s found! 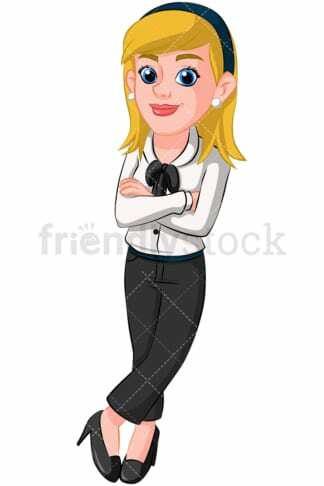 Royalty-free stock illustration of a businesswoman crossing her arms and offering a slight smile. Her ankles are crossed and she looks relaxed. Is she about to say “yes” to the raise you just asked for? 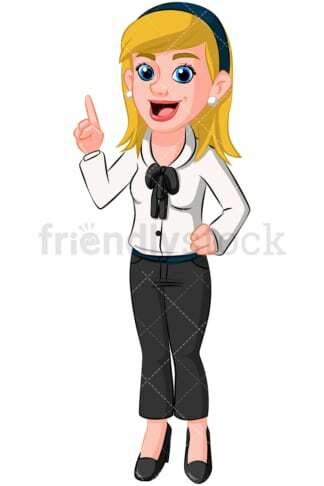 Royalty-free stock illustration of a businesswoman standing upright and pointing to her left. Her arms are held out and she’s talking. Looks like a fascinating presentation! 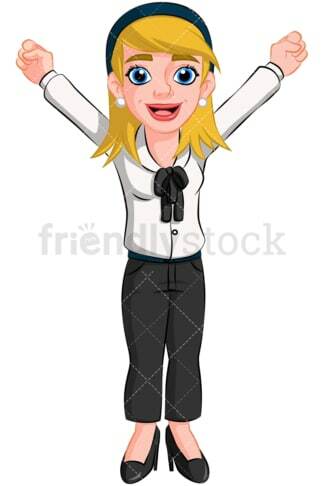 Royalty-free stock illustration of a businesswoman doing the victory cheer with her arms raised high. She landed the big contract – cupcakes for everyone! Royalty-free stock illustration of a businesswoman holding her finger up in the air while making an important point. She’s smiling, though, so you can’t be in too much trouble! 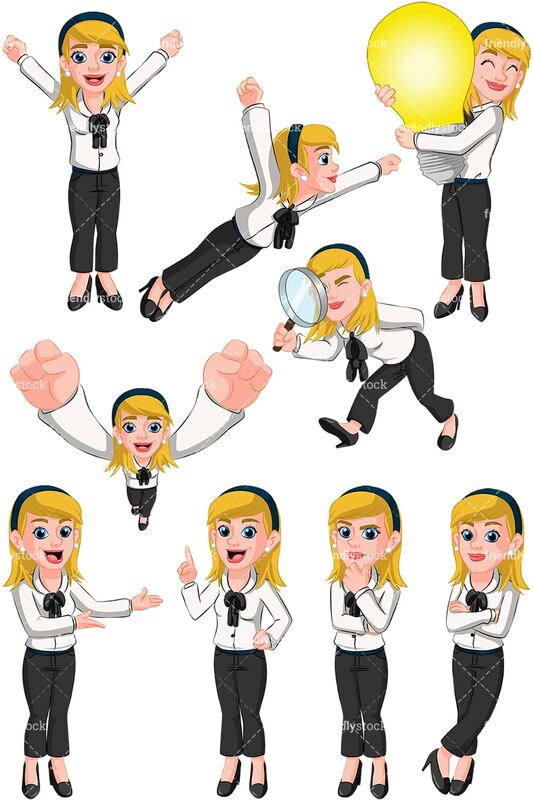 Royalty-free stock illustration of a businesswoman cheering you on. It’s seems like you’re holding a camera, and she’s cheering into it. His arms are up in a victory cheer, and are at the forefront of the image. Royalty-free stock illustration of a businesswoman considering a problem. She’s frowning a bit and holding her hand up to her chin. Let’s hope it’s not your fault! Royalty-free stock illustration of a superhero businesswoman flying high in the sky. She saved the day! Now if only she could find her pink cape.